Tatler, T atler or just Tat? 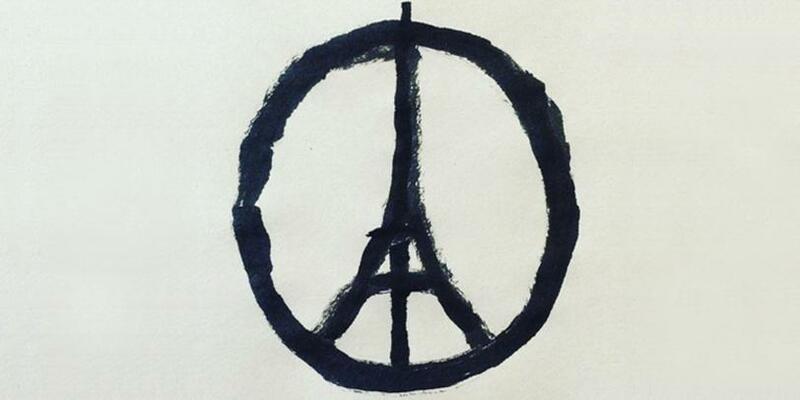 His reworking of the peace symbol cleverly replaces the bomb-like line structure from the original logo with that of the Eiffel tower to create a memorable poignant symbol. The logo has gone viral across social media and has already made its way onto t-shirts.